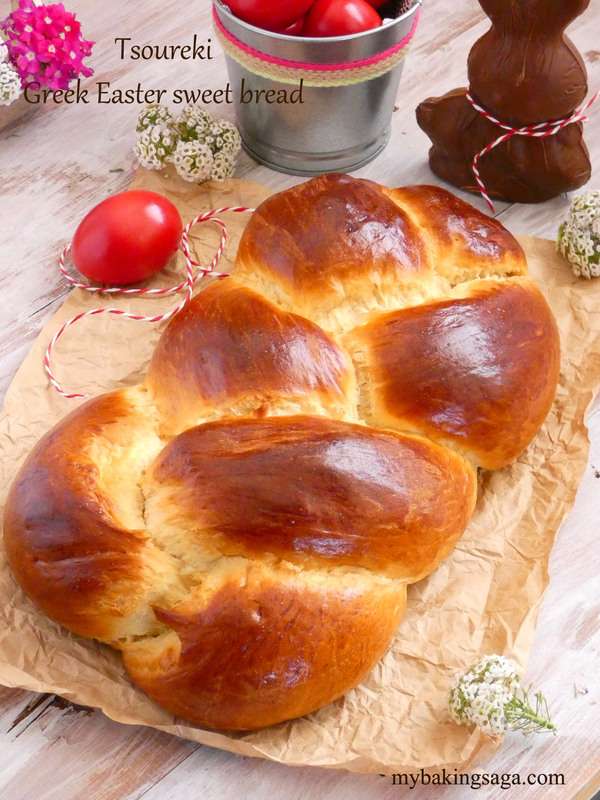 If there is a smell that reminds me of Easter time definitely is the smell of fresh baked tsoureki. 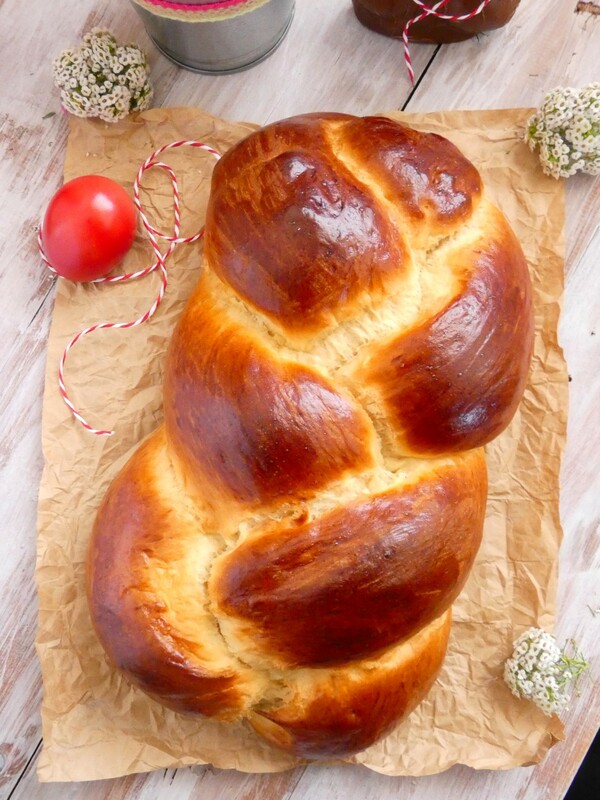 The superb sweet aroma of mastic and the nutty aroma of mahlepi make this Greek Easter bread not only delicious but also unique. 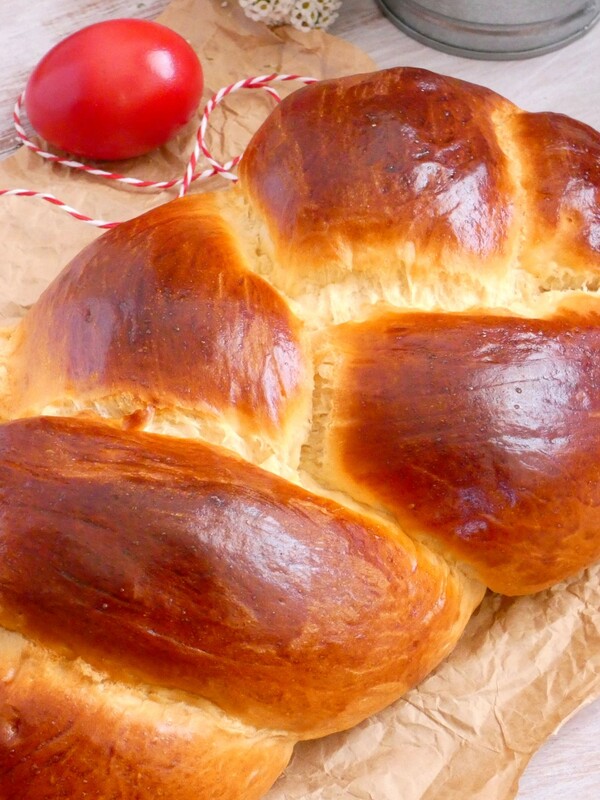 Many countries have their own celebration bread for Easter and every one of them has its own characteristic. Tsoureki has to be flavored with these two spices. Mastic and mahlepi. This is the unique characteristic for our celebration bread. The aroma! 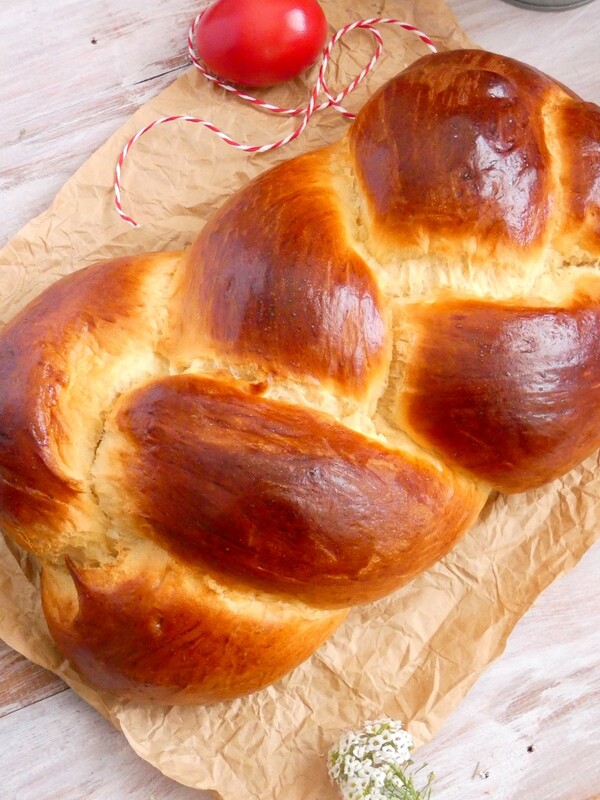 The smell that emerge out of a freshly cut tsoureki is the real thing. But the tsoureki is not just the aroma. 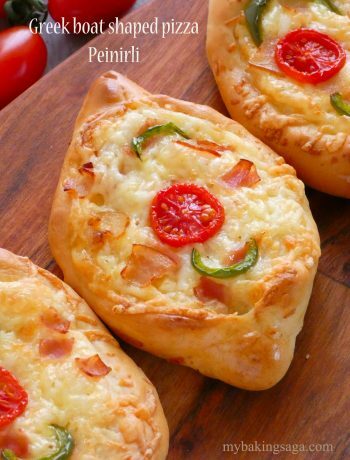 It is the fluffy, soft and stringy texture, the golden crust and the extraordinary taste. A complete pleasure! 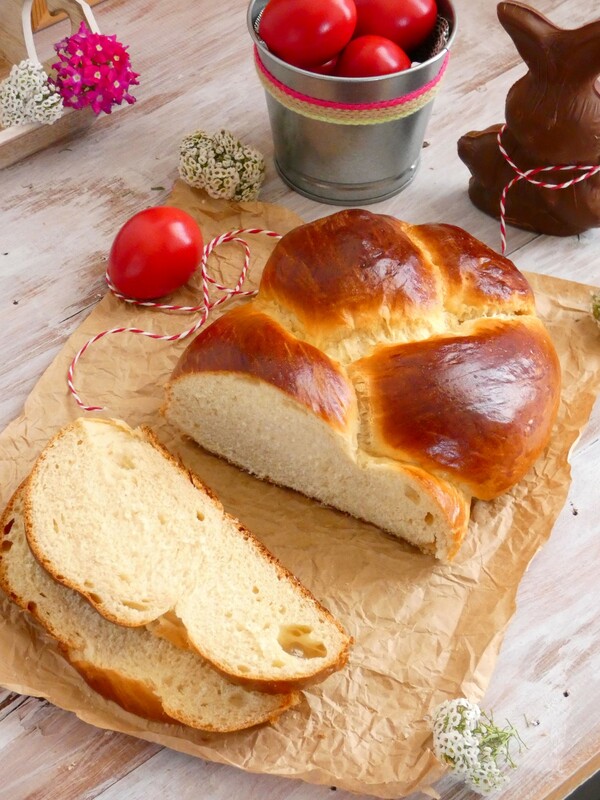 A pleasure that all of you can make at your home with your own hands and enjoy it this Easter with your family. It is not difficult but it takes a lot of time. It needs about 7 hours from the start to the end. A lot of hours but believe me it is worthwhile. You need to have patience and a lot of free time. Tsourekia can’t be made in a hurry. 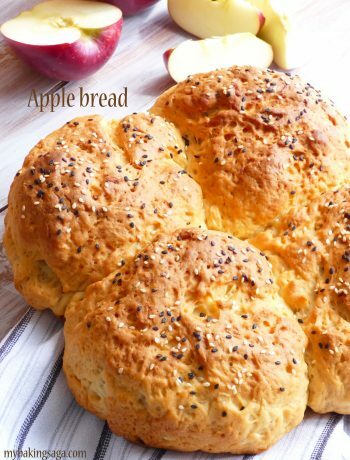 Use only bread flour. 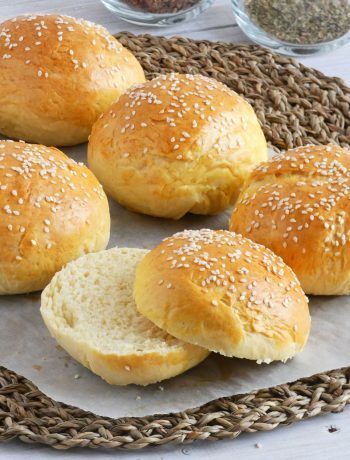 It is the only flour that is perfect to achieve the right texture of the tsoureki. All the ingredients should be at room temperature. This is very important for the dough to rise easier, sooner and in a proper way. The final volume should be about 1 1/2 – 2 times bigger than the initial volume of the dough. If the dough seems to be sticky don’t be tempted to add more flour. It will be ok after the first rising. When roll the dough ropes to shape the tsoureki be gentle. Don’t use force. It is a sensitive dough and it has to be treated properly. If you find it hard to shape the dough because it is sticky (I doubt it will, but if…) use a little melted butter on your hands. Don’t use flour. Follow these simple but important instructions and you will get a fluffy, flavored and perfect shaped tsoureki. Of course the most important for a perfect result is the right recipe. A never failure and a non confusing one. Simple and without “question marks”. This is exactly the recipe I used for these beautiful and tasty tsourekia. A recipe by Stelios Parliaros. A famous pastry chef in Greece (and not only) who has been a big help and an important teacher for all of us amateurs bakers all these years. The only thing I changed is the amount of sugar. I like the tsoureki to be sweet so I used more sugar than the original recipe. I almost doubled it to match my preferences. I hope you like it! Happy baking and Happy Easter to all of you!! Dissolve the yeast in the 40 gr of warm milk and let stand for 5 minutes. In the mixer bowl add flour, sugar, salt, mahlepi and mastic and mix with the dough hook in slow speed for 1 minute. Add the eggs, the yeast and the milk and knead to incorporate. Add the butter piece by piece and continue knead in slow speed until you get a smooth and elastic dough. If the dough seems to be a little sticky don't add more flour. Transfer the dough to a big bowl, cover with a kitchen towel and let rise in a warm place. This will take about 3-4 hours depending on the room temperature. When the dough is ready punch it down and knead it carefully a little more to remove air. Divide the dough in six equal pieces and roll each to a rope about 5 cm thick. 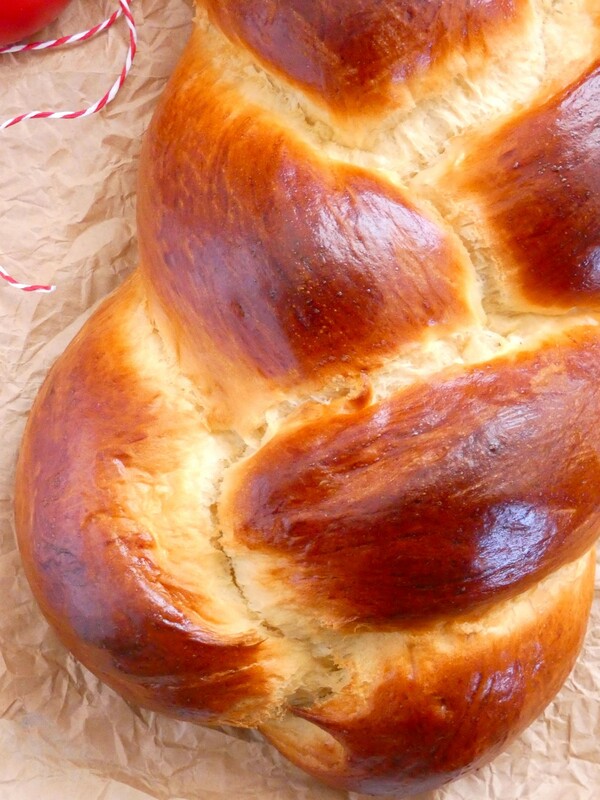 Take three of them, join them together on one end and start braid the tsoureki. You will make two. Transfer each of the tsoureki on a baking sheet lined with parchment paper. Let the tsourekia rise again at a warm place until doubled in size about 1-2 hours. Carefully brush them with egg wash and bake them in a preheated oven at 175°C for 20 minutes until golden brown.